Some interesting history. I believe it is more factual than what the media puts out today. Other interesting facts. It wasn't the white man that went into Africa and captured black men and women to enslave them. It was black men that did it and sold them to white men. It was part of the African way of life. There were also free black men in America that had black slaves. Well...You sure won't hear about that in the media. One must also remember that the South was democratic and condoned slavery. And the democrates call republicans racists. Also he who wins the war writes the history. Those were very different times, different social norms, different ways and life was much harder then. Welcome to "1984". These people want to rewrite history to further their current agenda. I've studied the American Civil War (I prefer to call it the War of Secession) for about 35 years now. I've made an effort to figure out why those men fought so hard. Almost 100% of Southerners who were "military age" served. Somewhere around 1 out of every 3 Confederate soldiers died during the war. There were a few who claimed that they were fighting to preserve slavery (and probably an equal percentage of Northern troops who supported slavery) but the overwhelming majority were fighting to protect their homes and preserve their way of life from what they viewed as an oppressive government. Interestingly enough most Union troops fought for those very same reasons. Somebody asked me recently who the “bad guys” were in the Civil War. I told them that the “bad guys” were the extremists on both sides and the media who fanned the flames. Now suddenly, using the actions of a madman as an excuse, our HISTORY is being attacked. Stalin would be proud of these politicians who want to ban flags and remove monuments. That madman in Charleston wanted to start a race war. I don’t think his actions alone could have. What worries me is that the knee-jerk responses of politicians and others seeking power just might start something violent. Pkslinger, thanks for the comments and link. Its always depressing for me to see the loss of life that occurred American on American. WOW...both of those links are eye openers for someone who doesn't have a full understanding of the facts. Yes, I never know a lot of it. It seems that a lot of what I learned in the past are truly misrepresented past. If you read Wilber Smiths books they sail fairly close to the wind as far as what went on is concerned, the Arabs were slavers for generations, the Egyptians built a nation on slavery. the strongest dominated the weak and took them as slaves when ever and where ever they could. what will your lot fly as a flag during your re-enactments Pumpkin if these darn Yankees get there way???? 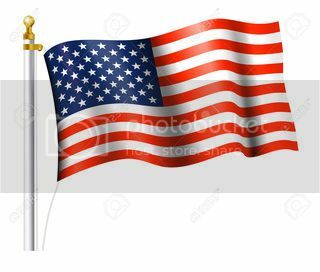 you could well argue the Stars n stripes is a symbol of oppresion using same reasoning they are applying, after all the war was about making all states tow the same/Yankee line and not letting the confederacy look after her own and make her own rules. The Confederate "BATTLE" flag was defeated and stuck and should not be flown on federal or state grounds. Anywhere else would be OK with me. The Confederate "NATIONAL" flag would probably be OK. Pick one...They had three. Seems they couldn't make up their minds. Elvis, there are already people calling to ban the US flag. Now Confederate monuments have been defaced and, apparently in retaliation, black churches have been burned. I never thought I'd actually see this sort of stupid stuff here. If peoples anger doesn't cool before emotions take over completely this could get nasty! maybe the oriental slave buyers of the 1800s had the right idea after all?????? Banning the Stars and stripes would be a step in rewriting the way the government is run. I think most people wouldn't even notice. For me, it would be another step toward the war for freedom of the people of the US. Regardless of what changes the banning of the Stars and Stripes would bring about, I firmly believe it would be detrimental to the standing of the US on the international platform as a Nation. 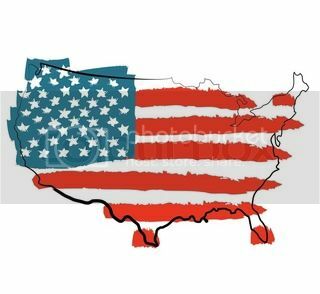 I believe it would be viewed by those countries that see the US as an enemy, as a weakening of the national bonds, the bonds that weld national strength pride and together. Where this would lead is anybodies guess, but I don't believe it would be "pleasant". When the pole was a staff, and the rag was a flag."